For the uninitiated, the term ‘storage strategy’ might seem a little obvious and unnecessary. After all, why are you spending so much time trying to optimize your storage, prioritize your deliveries, and rearrange your warehouse as needed unless you already had a strategy in place? You might be surprised to learn then that storage strategies go beyond the usual metrics, then. With the right strategy in place you can optimize costs, time, and worker efficiency across the board – and it doesn’t require nearly as much effort as you might think. Order Pattern Method: This method should be used for consistent purchases of a fixed amount of the same product, or when the warehouse is only filled to a pre-designated inventory level. Reorder Point Process Method: This process, most commonly used in supply chains, re-orders an item when stock falls below a designated safety level to ensure the required number of items are available at all times. Control Rhythm Method: A combination of the first two methods, this method requires inventory to be checked at fixed intervals and ordered more frequently if the minimum holding/fixed amounts fall below desired stock levels. The objective of these strategies is to reduce cost and manage inventory more effectively, and each one serves different needs and functions in the warehouse overall. 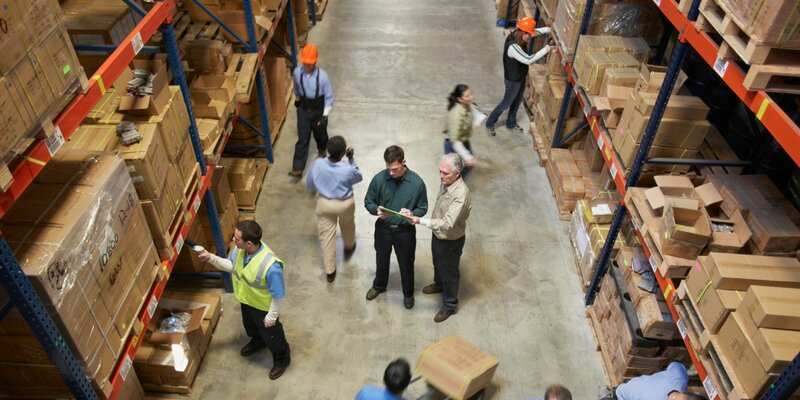 Determine the warehouse and storage needs of your business. There’s a lot more to picking a storage strategy than just deciding on a strategy and implementing it. Take a look at your warehouse overall and see what needs (or doesn’t need) the most improvement – planning and predicting the amount of stock you require, reviewing your current storage installations like steel shelving, wire shelving, or pallet racks, and understanding the storage need and sell-through potential of each item to better understand where everything can go and how you can get it there. Look for potential weaknesses. Even after finding the ideal storage solution, there’s always things that can be improved in your current warehouse operation. Review your existing operation to see where, exactly, the shortcomings fall, and then work to improve them with the new strategy you’re implementing – or work to develop a strategy that encompasses these shortcomings more effectively. Evaluate the impact of your plans. Any change in warehouse strategy will have a number of impacts across the board, and keeping up with these changes is vital to the continued operations of your facility. Consider the amount of time it will take to implement these changes, the effect it will have on your workforce, how effectively the plan can be managed, and other bottom-line requirements to make sure your staff can keep up with the changes – and to make sure the changes will all be positive.